Dear Readers, if you want job in National Defense Academy then you can fill UPSC NDA Application Form 2019. Union Public Service Commission has recently published notification for National Defense Academy and Naval Academy Exam (I) 2019. Applicants who are interested and fulfill eligibility criteria can apply through UPSC NDA Online Form 2019. The online registration has been started from 09.01.2019. Applicants can fill the application form before the last date 04.02.2019. Union Public Service Commission every year organize the National Defense Academy and Naval Academy Exam. In this year the department announced UPSC NDA Notification 2019 for filling up 392 vacancies of 342 NDA (208 for Army, 42 for Navy and 92 for Air force) and 50 Naval Academy department. The UPSC Online NDA (I) Exam 2019 is going to held on 21st April 2019 at various centers. Applicants who are going to fill the online registration form can fill it before the last date 04.02.2019. Fresh Update as on 04.02.2019: UPSC NDA Online Registration is going to close today. So, Interested aspirants should fill online application form for UPSC NDA NA Exam 2019. Applicants must fill online forms without any delay. Before applying candidate should check eligibility criteria here. Fresh Update as on 19.01.2019: UPSC NDA Online Registration will be closed on 04.02.2019. Interested aspirants may collect here eligibility criteria details for UPSC NDA NA Exam 2019. 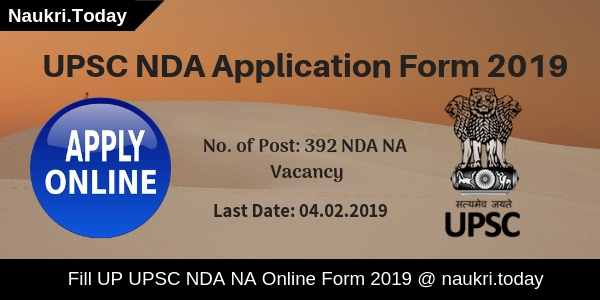 Applicants must fill up their UPSC NDA Application Form 2019 form links given here before the last date 04.02.2019. 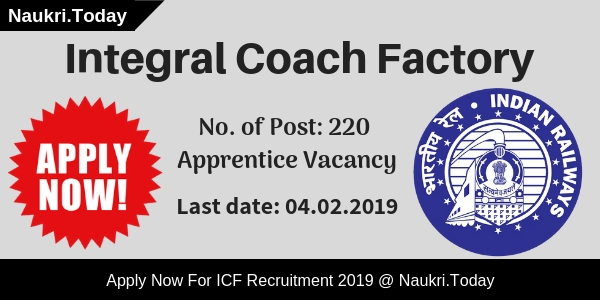 Fresh Update as on 12.11.2019: Union Public Service Commission has released notification NDA Competitive Examination. Interested candidates may fill up UPSC NDA Application Form 2019 from here. Aspirants should check eligibility criteria for UPSC NDA NA I Exam for this article. How to Apply for UPSC NDA Application Form 2019? How to fill UPSC NDA NA (I) Online Registration Form? What is Last Date For UPSC Online NDA & NA (II) Form & Collect UPSC NDA & NA (II) Notification 2017 ? Who can Apply For UPSC NDA 390 Recruitment 2017 ? & What is Required Criteria For UPSC Online NDA & NA (II) Form ? What is Salary Structure For UPSC NAD & NA (II) Jobs ? & What is The Procedure To Get Selected in UPSC NDA II 2017 ? Applicants who are willing to apply for UPSC NDA NA Exam (I) 2019 must fulfill the eligibility criteria. It includes education qualification, age limit, and other details. Eligibility Criteria for Union Public Service Commission NDA NA Exam is mentioned below. Candidates who are completed their 12th in (10+2) pattern school education or equivalent examination are eligible to fill the UPSC NDA online application form. 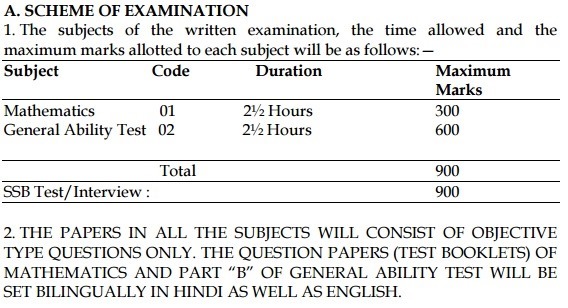 Post wise details of education qualification for UPSC NDA NA Exam 2019 is mentioned below. For Army wing of National Defense Academy: Candidates should have a certificate of 12th of the 10+2 pattern of school education or equivalent examination recognized by the State Education Board or University for UPSC Online Exam. For Air Force and Naval Wings of National Defense Academy and for the 10+2 Cadet Entry Scheme at the Indian Naval Academy. Candidates should pass 12th class of the 10+2 pattern with Physics and Mathematics of School Education or equivalent examination recognized by the State Education Board or University. Applicants who fulfill the education qualification also read the age limit to check eligibility criteria UPSC NDA 2019 Online form. Unmarried Male candidates who are not born earlier 02.July.2000 and should not later than 01.July.2003 for NDA NA( I) Exam 2019. Applied candidates should physically fit for admission to National Defense Academy and Naval Academy Exam (I), 2019 according to physical standards. The physical Standards guideline is given in Appendix-IV. Resigned or withdrawn candidates from any of the training academies of Armed forces are not eligible. Furthermore, you should read UPSC NDA Exam Notification 2019. Interested and eligible candidates are required to pay non-refundable application fees for UPSC NDA NA (I) Exam 2019. 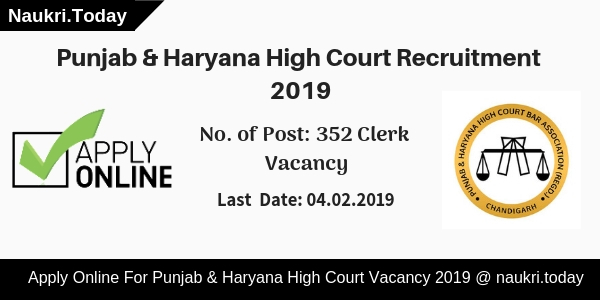 Candidates who are belonging to General and OBC community are required to pay Rs. 100/-. Candidates should pay their application fees either by the cash deposited to any SBI Branch or by SBI net banking mode (internet banking/credit card/debit card). SC/ST candidates are not required to pay any fees for UPSC Exam 2019. Candidates selection for UPSC NDA Vacancies will be based as on the performance in written Examination, Physical Standards and then Interview. The first selection is based on written Examination. Candidates who qualified the UPSC NDA NA (I) Exam should log on to Directorate General of Recruiting website. After that, an interview session is organized by the department for written exam qualified candidates. Union Public Service Commission Online Registration Form for filling up 342 National Defense Academy and Naval Academy vacancies. Interested candidates who also fulfill eligibility conditions can apply through online mode. Participants can follow the given below instruction to fill up UPSC NDA Online Application Form 2019. Log on to the official portal upsconline.nic.in. Then go to “Online application for various Examination”. Then a new screen will appear on your screen and then click on Part-I Registration. Click on Continue button and then fill the required details. Before submitting the part-I Registration you can update it also. After submitting UPSC Online Registration form you get a system to generate registration id. Then click on Part-II Registration and fill your registration id and DOB. Then you pay your fees, select your exam center and then upload photo and signature. Using I agree you can submit the final UPSC NDA Online Exam Form. Conclusion: UPSC NDA Application Form 2019| Union Public Service Commission Exam Notification 2018 for filling up 392 National Defense Academy and Naval Academy Vacancies. The Last date of online application form is 04.02.2019. The UPSC NDA Exam is going to held on 21st April 2019. Dear Applicants are you searching for National Defence Academy Jobs in UPSC, then here is good news for you. Union Public Service Department has announced a UPSC NDA Application Form 2017 – 18 notification. There are 390 UPSC Vacancy of 335 National Defence Academy & 55 Naval Academy (10+2 Cadet Entry Scheme) Post. After fill the form candidate should Check What is Eligibility Criteria For UPSC NDA & NA Phase II Examination 2017 ?. Candidate who have completed 12th class can fill the UPSC NDA & NA (II) Notification 2017 form before the last date 30.06.2017 till 06:00 PM. About UPSC Department : Union Public Service Commission conduct the NDA exam twice in a year. Now National Defence Academy & Naval Academy (10+2 Cadet Entry Scheme) phase II exam will conducted by UPSC. So, Union Public Service Commission has released a UPSC NDA & NA (II) Notification 2017 on 07.06.2017. It is great opportunity for all the 12th pass students who want to get into NDA to join the armed forces in UPS department. We are providing here all your query like Am I Eligible For UPSC NDA Recruitment 2017 ? How to Apply For UPSC NDA Application Form 2017 ? What is Selection Criteria etc. UPSC NDA & NA (II) Examination Centres : Agartala, Ahmedabad, Aizawl, Allahabad, Bengaluru, Bareilly, Bhopal, Chandigarh, Chennai, Cuttack, Dehradun, Delhi, Dharwad, Dispur, Gangtok, Hyderabad, Imphal, Itanagar, Jaipur, Jammu, Jorhat, Kochi, Kohima, Kolkata, Lucknow, Madurai, Mumbai, Nagpur, Panaji (Goa), Patna, Port Blair, Raipur, Ranchi, Sambalpur, Shillong, Shimla, Srinagar, Thiruvananthapuram, Tirupati, Udaipur and Vishakhapatnam. Last Date For UPSC Online Applications Form 2017 : 30th June, 2017 till 6.00 PM. Educational Qualification For UPSC NDA Recruitment 2017 : Candidates who are appearing in the 12th Class under the 10+2 pattern of School Education or equivalent examination can also apply for this examination. We are providing here for more details check given below. UPSC Army Wing of National Defence Academy : 12th Class pass of the 10+2 pattern of School Education or equivalent examination conducted by a State Education Board or a University. Age Limit UPSC NDA Online Form 2017 : “How Many Times can a Candidate apply for the NDA & NA Phase II exam 2017 ?” Upper age limit should be 19 years & lower age limit should be 17 years for UPSC NDA & NA (II) Notification 2017. Candidate who are apply for UPSC NDA Application Form 2017 should be born in between 02.01.1999 to 01.01.2002. UPSC department has decided the age relaxations is available or not. Application Fee For National Defence Academy and Naval Academy Exam : Candidate have to pay the application fee Rs. 100/- through online / offline mode. More details applicants should check the 390 UPSC National Defence Academy & NA Recruitment 2017. Last Date For Pay the Application Fee through Offline Mode is 29.06.2017 at 11:59 PM & online Debit/Credit Card or Internet Banking Payment mode : 30.06.2017 at 06:00 PM. Salary Structure For UPSC NDA & NA II Examination Notification 2017 : Applicants who are qualified in National Defence Academy and Naval Academy Examination Phase II will get good salary. Pay Scale decided by the Union Public Service Commission department. For more details related to What is Salary Structure For UPSC NAD & NA (II) Jobs ? Selection Procedure For NDA & NA (II) 2017 Exam : 12th pass students should be selected on the basis of best performance in written exam & SSB. At fist candidate have to shortlisted to written exam through application form. Short listed applicants will attend the written exam on 10th Sep. 2017 at various center. Candidate who are qualified in written exam will call for SSB interview which is going to held in the month of November 2017. we are also provided here for all the details related to National Defence Academy and Naval Academy Examination (II), 2017. UPSC NDA & NA (II) 2017 Admit Card : BY using registration no. & DOB candidate can download the UPSC hall Ticket 2017. The eligible candidates shall be issued an e-Admit Card three weeks before the commencement of the examination. we are providing here for direct link to download the permission letter & written exam result. you can stay with us or visit www. naukri.today for lattes update. How to Apply For UPSC NDA Application Form 2017 Apply For 390 NDA & NA (II) Online Form ? check the UPSC NDA & NA (II) 2017 Notification under the notifications. Upload signature, photo, required documents etc. Pay the application fee through Online/ Offline also. Fill the UPSC NDA online application form with the essential details and Click on the submit button. At last take printout of the submitted UPSC NDA Application Form for future use. To Get UPSC NDA & NA Phase II, 2017 Notification. Conclusion UPSC NDA Application Form 2017 : Union Public Service Commission has published UPSC NAD Recruitment 2017 notification for 390 post. Eligible & interested candida can fill the UPSC online Form before the last date 30.06.2017 at 06:00 PM.